The only other man you need besides your sparkling eyed beau is your Shoe Guy. 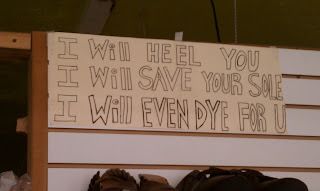 This little homemade makeshift sign proves their dedication to making your shoes the best they can be and with great care. They not only take care of our soles, but our purses and leather jackets too. The relationship between a heel loving gal and her shoe guy is one cultivated over time, one shoe at a time. Trust is established just as a relationship. You start with testing out the small stuff you know, soles and heels, and if he’s a keeper, you’re giving him your LV and Chloe’s to get the handles resewn. 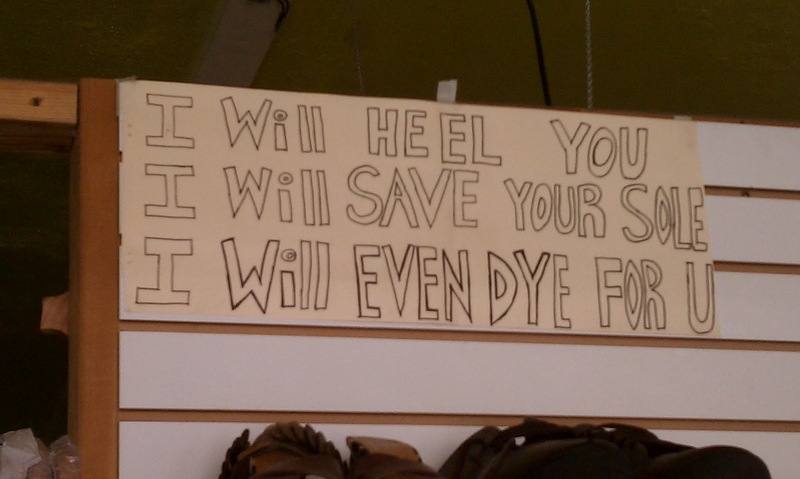 The best way to appreciate your Shoe Guy is to spread the word of his good work to all your heel loving gals.